Today: Is there a wrong way to make fried rice? Not when it tastes this good. 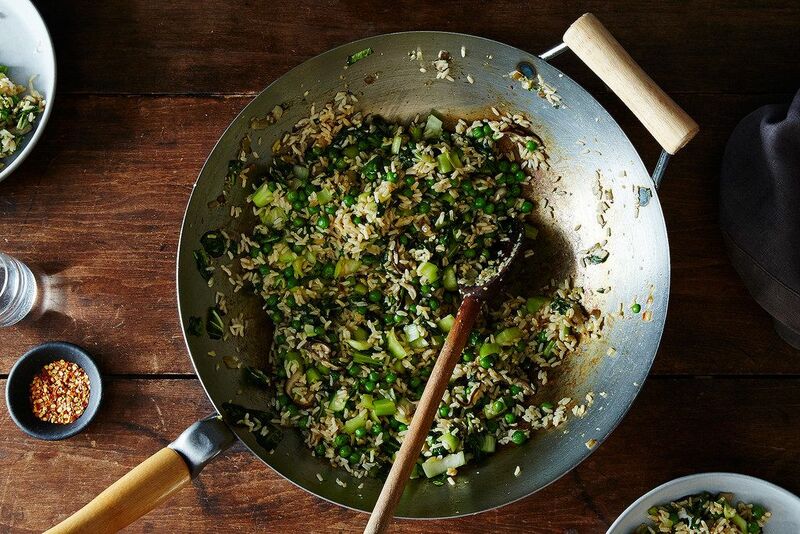 Fried rice might be the ultimate weeknight supper. Versatile, adaptable, easy, and quick, it requires no formal recipe or method. In fact, I realized as I was creating this recipe that I have no idea whether or not I’ve been making fried rice "right" or "wrong" all this time. I know I’ve been making it untraditionally, since I don’t add the classic stir-fried egg component. But beyond that, am I getting it right? Honestly, I have no idea. But I do know that what I’ve always called fried rice—a mixture of fried vegetables, leftover brown rice, and seasonings that include tamari, garlic, and sesame oil—has stood the test of time. It’s a no-brainer dinner in my home, and I use it as a chance to savor seasonal produce. More: Vegan bolognese might not be bolognese, but it sure tastes good. 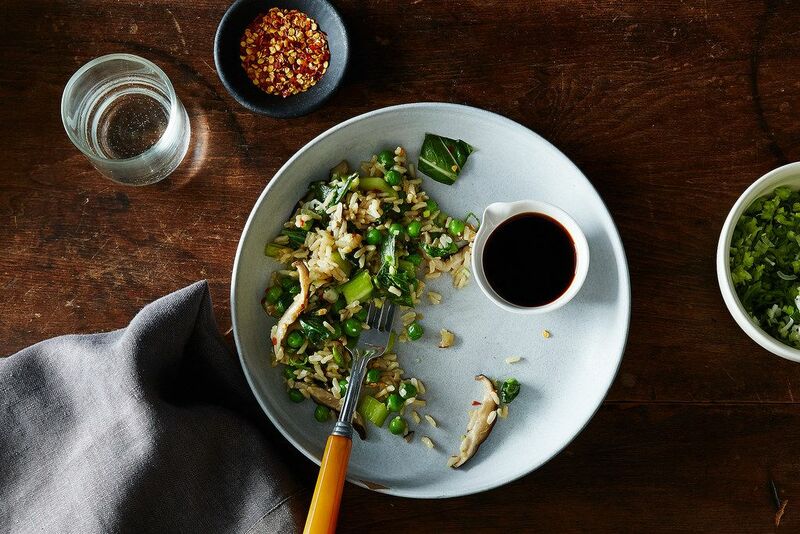 This particular fried rice recipe is perfect for spring. Baby bok choy meets peas and ginger for an easy and healthy dinner. The recipe just happens to be both vegan and gluten free, which means that you can use it to confidently feed friends with all sorts of dietary preferences. Or just make a big batch and enjoy it for dinner and lunch all week long, perhaps drizzled with a ribbon of Sesame Tahini Dressing.